After the formation of Herefordshire and Gloucestershire Short Mat Bowling Association in 1992 the Committee decided it would be a good idea to hold competitions for any club to enter. To achieve this objective reasonably quickly Norman Allen offered to donate the Mercian Cup for County Fours and the LEH Trophy (named after his business Lifting Equipment Hire) for the two counties Team of Ten competition. By June 1999 the number of bowlers had increased and the two Counties decided they were large enough to become independent. Since then the LEH Trophy has helped clubs in both counties to keep in touch with each other every year. 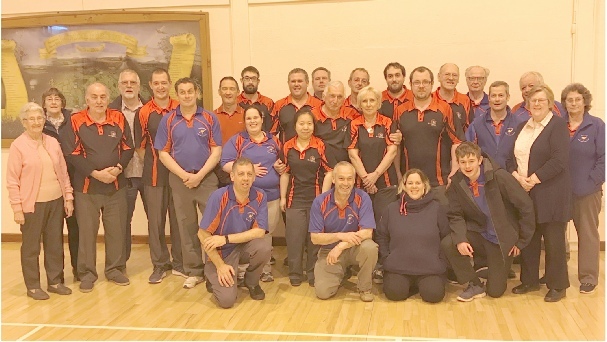 Bowlers who do not play in the National competitions also have the opportunity to meet old friends they knew before the two Counties went their separate ways.